Our school vision is a simple statement of the type of school we wish to be. It is a reflection of what we have achieved but also a vision of how we want to develop the school. We wish the school to be a place of excellence where children can achieve full potential in their academic, creative, personal, physical, moral and spiritual development. We will endeavour to provide a happy, caring and stimulating environment where children will recognise and achieve their fullest potential, so that they can make their best contribution to society. We see our school as a partnership between children, parents, staff, Board of Management and the community as a whole. Our school will be a friendly and safe place where everybody is always welcomed and their achievements celebrated. 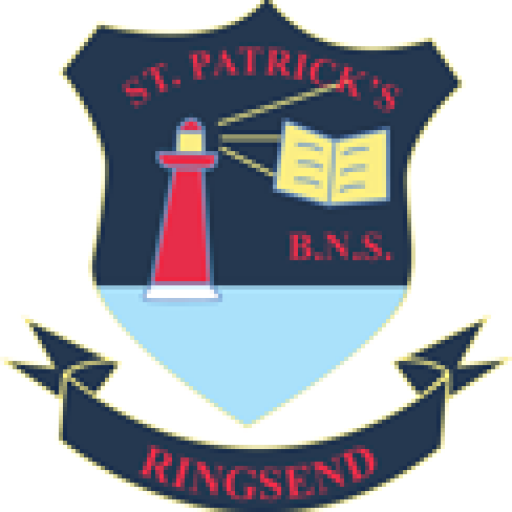 We are a DEIS school and we see it as our obligation that each child in our care leaves the school numerate, literate and having fulfilled their potential. They will also leave with happy memories of their time here. We wish the parents and past-pupils of the area to want to send their children to our school content in the knowledge that their child will receive an excellent education from highly motivated and skilled teachers who will work in partnership with parents at every step. We wish to have a school where discipline is not a problem and where teachers are free to teach. We will recruit only the best teachers who can work harmoniously with their fellow teachers. We see our school as being a hub of the community. We cherish the partnerships and rapport which exist between the pupils, parents, teachers and the wider community. We will provide an attractive and welcoming physical environment with well-equipped classrooms and the latest in technological advancements. A set of spiritual and moral values — honesty, integrity and good judgement. A complement of basic skills — linguistic, mathematical, scientific, artistic, physical and social.